One day last week my assignment editor looked at me and said, "You remind me of Barbara Stanwyck." Wow. What a compliment. Who wouldn't want to be compared to this amazing woman? She made 85 films in 38 years, was nominated for four Academy Awards, won three Emmy Awards and one Golden Globe. She received honorary lifetime awards from the Motion Picture Academy, Film Society of Lincoln Center, Golden Globes, Los Angeles Film Critics Association and the Screen Actors Guild. She has a star on the Hollywood Walk of Fame and is ranked the 11th greatest female star of all time by the American Film Institute. But those are just her on-screen achievements. Barbara Stanwyck was an amazing person off-screen as well. She was born Ruby Catherine Stevens on July 16, 1907. Her mother died when she was young, and her father disappeared while working on the Panama Canal soon after. She was put in foster care when her older sister could no longer take care of her because of a job. 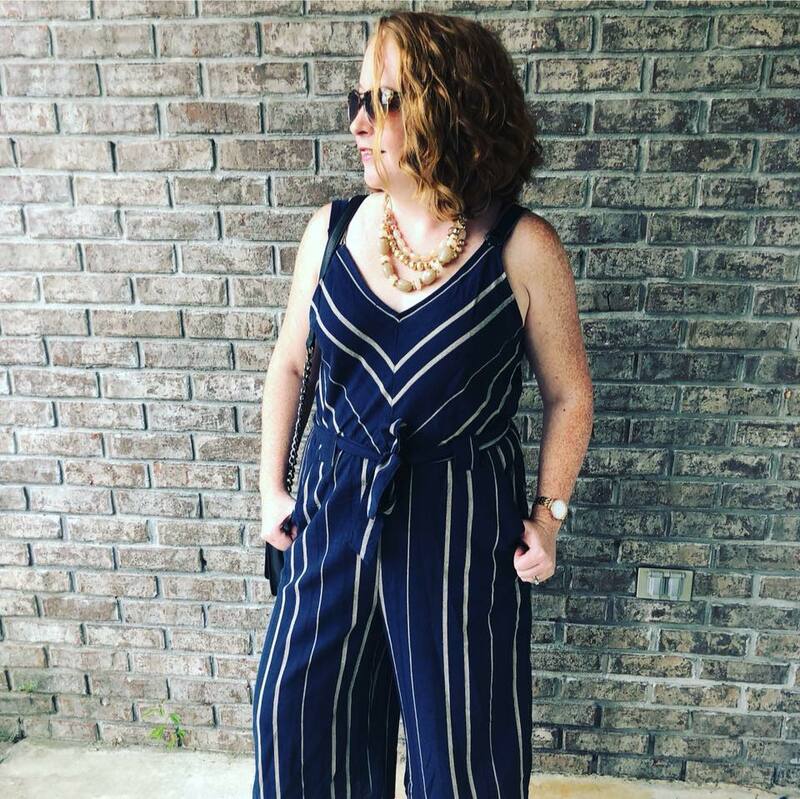 She never went to high school and held several jobs before finding her niche. One of those jobs was with Vogue cutting out dress patterns. She was fired from the position when customers complained about the quality of her work. But Stanwyck didn't let all of those setbacks stop her from pursuing her true career goal - that of becoming an actor, and she finally struck gold in 1923. That's when she became a Ziegfeld Girl. In 1926, she made her stage debut in The Noose. That play led to her name change - Barbara Stanwyck was born. Stanwyck's first film appearance was in 1927 with Broadway Nights. However, she didn't get the lead because she couldn't make herself cry in the stage test. She landed her first lead later that year in Burlesque. 1944 was a good year for Stanwyck. That was the year she made Double Indemnity - a film everyone should see. She was also the highest paid woman in the United States that year. 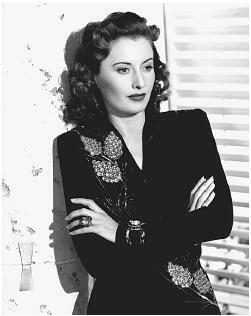 Stanwyck began her television career in 1957. 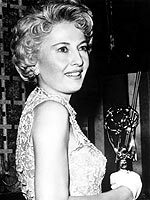 The Barbara Stanwyck Show was never a big ratings hit, but it did win Stanwyck her first Emmy. She starred on The Big Valley from 1965-1969 and had three guest appearances on the popular 80s soap opera Dynasty. Stanwyck was married just twice. Her first marriage to Frank Fay was filled with physical confrontation. They divorced in 1935, but there is speculation that their tumultuous relationship was the basis for A Star is Born. Her second marriage to Robert Taylor was arranged by MGM, which was a common practice back in the golden age of Hollywood. During their marriage she had an affair with Henry Fonda, but it was kept a secret. Stanwyck and Taylor divorced in 1950 after his affair with Lana Turner was made public by another starlet. Stanwyck never remarried after Taylor, but she did have a long-lasting relationship with Robert Wagner. In the end though, she broke it off. 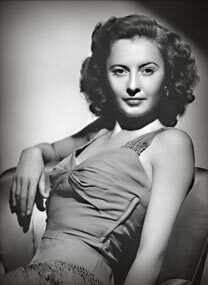 Barbara Stanwyck died in 1990 of congestive heart failure and chronic obstructive pulmonary disease. Many believe her demise began in 1981 after she was robbed and assaulted inside her Beverly Hills home. She contracted bronchitis in 1982 from breathing in special effects smoke, but her chronic smoking likely contributed to it. She first lit up at age 9 and smoked up until four years before her death. Never heard of her until now. She was really pretty!!! What happened to her relationship with Henry Fonda? I think it was just like any other affair - just ended. I'm not sure though and everything I looked at didn't say. I didn't forget you, Ashton. I've been on the go all day. I can see a resemblance to Barbara and I also think you are the same type of woman. Invariably Barbara played strong, no nonsense women and that's that impression I have of you. As you know we're celebrating the 100th anniversary of the sinking of the Titanic and my favorite Barbara Stanwyck role was as Julia in the 1953 movie Titanic. I highly recommend that picture, much much more so than the big budget blockbuster made a few years ago. This old black and white movie really delivers the human drama and pathos of the tragic event. I love that version of Titanic. But being a kid of the 90s I obviously have seen the Leo Dicap version multiple times.